2015 and 2016 champion of Poland in D4 class-up to 2000CC and min 900 kilograms. Perfect car to win CEZ 2000cc class or high climbing races up to 2000cc. 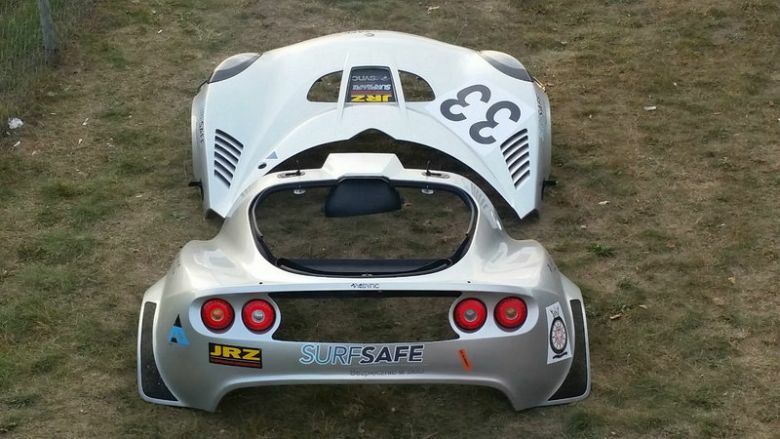 Professionally build race car based on 2002 S2 Elise rover platform. Car weight around 800 kilograms + ballast according to D4 class regulations. Car is ready for race, 120 kilometers after full revision. Very cheap car to run. Car won all 2016 rounds of Polish National Championships and CEZ round at Poznan Race track with over 2,5 sec advantage in qualifications over the second and over 1 minute advantage over the second in the race. Car was not used in 2017 !!! -Safety devices FIA roll cage professionally installed according to regulations with photo documentation. -70 liters FIA bag fuel tank. -Build and maintained regardless of cost at Ecu-performance Poland. Build and maintained by Ecu-performance Poland. -6 speed Civic type R with JDM 4,5,6 gears. -Exige gear lever with metal cables and uniballs for best quality gear change. -Both engine/gearbox mounts are custom made and they are extremely rigid. -Exige rear clam with reverie wheel arches extensions. -Reverie 1800mm full carbon wing and fast removable custom supports. -Custom aluminium crash box to take bigger radiator. -full carbon one skin roof ultra-fast removable. -Both clams and roof are ultra-fast removable. -Ap 4 pot calipers with Friction Performance 308mm discs and dedicated cooling. -Ap 2 pot calipers with AP 304mm discs and Nitron titanium bells. -1 inch adjustable front sway bar. Additional rims are also available at extra cost. Dedicated trailer from BrianJames is also available.